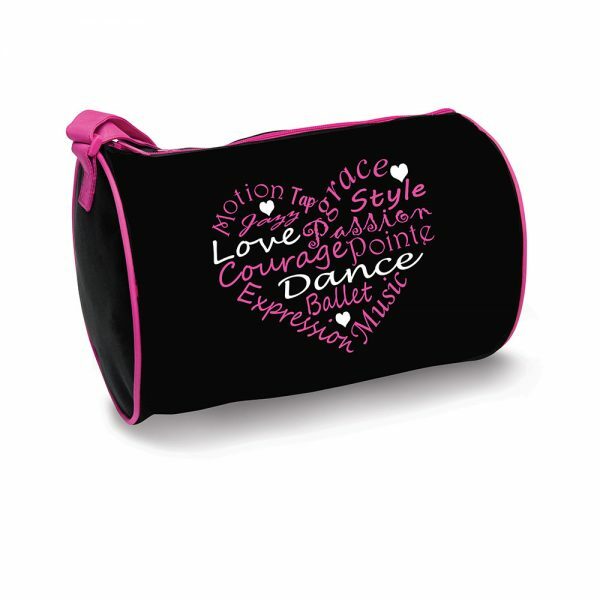 Roll duffel with pink trim, outside zipper pocket with motivational words in shape of heart. Includes an adjustable shoulder strap and water repellent inner lining. For over 60 years, Danshuz has been a trusted name that many retailers and dancers rely on for innovative and high-quality dancewear. Our full range of dancewear and the ability to process and ship your orders daily separate us from the competition..